COLOMBO, Sri Lanka – Viet Nam, Malaysia, Thailand, Philippines, Indonesia, Nepal, and Bangladesh signified their commitment towards interoperable health systems at the 6th Asia eHealth Information Network (AeHIN) General Meeting and Conference on Interoperability for Universal Healthcare Coverage (UHC) on 9 October 2018. Specifically, these countries committed to forming the AeHIN Community of Interoperable Labs (COIL) with the guidance of Standards and Interoperability Lab – Asia (SIL-Asia). 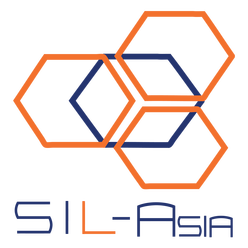 SIL-Asia is a regional health interoperability lab that provides technical and capacity-building support to countries in making their healthcare systems and applications interoperable through international standards. The Regional Interoperability Workshop, organized by the AeHIN at the sidelines of the Global Health Research Forum in August 2015, gave birth to the concept of SIL-Asia as a regional health interoperability lab. The concept of the lab emerged from the need of countries in Asia to have a facility that can benchmark various emerging digital health technologies in the market. The benchmarking criterium is envisaged to be a common set of international standards that will enable interoperability or the ability of systems to exchange usable data and information with one another. In essence, COIL is a community of countries in Asia who have committed to establishing their own in-country interoperability labs (IOL), a facility which focuses on the interoperability of digital health applications. The creation of an interoperability lab in each country can facilitate health data and information exchange at the national level to support evidence-based healthcare service delivery. The core of COIL is knowledge sharing. Each country is expected to share their lab technologies, artifacts, and documents with one another to promote inter-country cooperation on standards and interoperability. The community aims to be a safe and progressive space where countries can learn from each other. Lessons learned will not be limited to best practices but also takeaways from challenges and mistakes. COIL recognizes that a community of countries helping one another would address interoperability issues much better than individual countries trying to solve the same problem on their own. Join the COIL by teaming with SIL-Asia! Know more about how you can co-create an interoperability lab with us by sending us an email at sil-asia@aehin.net. The Standards and Interoperability Lab – Asia is a regional health interoperability laboratory powered by the Asia eHealth Information Network (AeHIN) and supported by the Asian Development Bank (ADB) with sponsorship from The People’s Republic of China Poverty Reduction and Regional Cooperation Fund (PRC Fund). The concept for the Standards and Interoperability Lab – Asia was first conceived at the Regional Interoperability Workshop organized by AeHIN in Manila last August 2015 at the sidelines of the Global Health Research Forum. The regional lab was designed to serve as a template of labs in each country that will later form into the Community of Interoperability Labs (COIL).